Trim the asparagus, drizzle the asparagus with olive oil, salt and lemon zest and roast on a grill pan to desired doneness. Toast up your bread while you fry your egg and bacon. 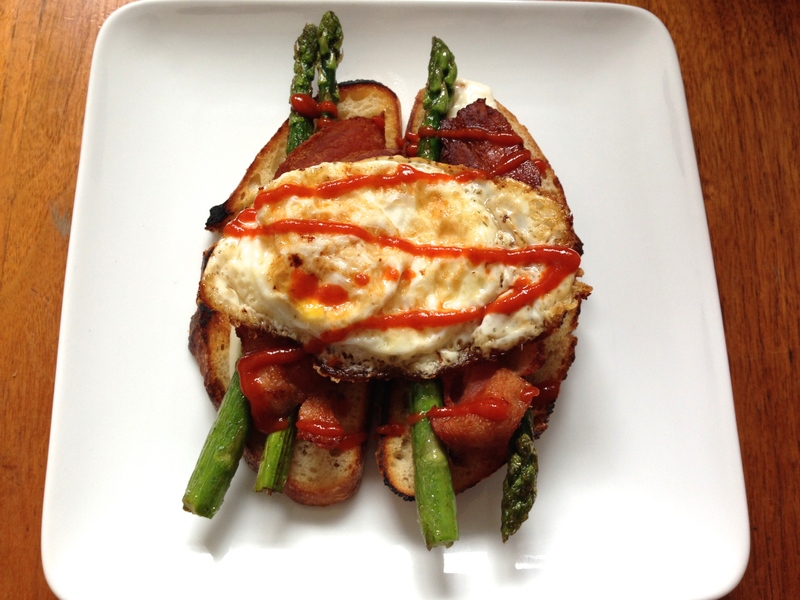 Once everything is cooked, spread a layer of mayo on the toast and add your asparagus, bacon, egg and top with Sriracha. Serve open faced.